If you are among the lot who has been into marketing business the online way since long, you must be aware of the fact that giving your customers content with value is the first step for success. The content used for marketing should reach the people who show liking towards the same. Thankfully the advent of social sharing has made things easier for everyone in the business. However, you should not stop by going in for traditional ways of promoting content like using Facebook and Twitter. Innovation is the key to success and those who innovate emerge to be the winners. You should be using Pinterest to promote your business strategy and let people know that you matter in the business circles. Signing up for a Pinterest account is a simple affair and once you hook up, you will be in an advantageous position as far as the spread of your business is concerned. As you sign up, you will be able to set up boards. These boards will act as your advertisements in the online world and you can pin up photographs and videos on these virtual pin boards. These pictures and videos can then be shared with your followers. Below are listed some worthy tips which will help you use Pinterest to its real worth thereby help derive some real gains from the platform thus taking your marketing strategy miles ahead from the competitors. You can include images on every page of your website including some to the blog posts. By doing so, you will be allowing the visitors to add your valuable content to their Pinterest board. They can then share the same with their followers, thus taking your marketing strategy to a logical conclusion. You must accept the fact that Pinterest is now the fastest growing social platform in the online world. If you understand the value of this tip and add the Pin It button to your account, you will be doing a great lot for promotion of your business and will be taking the same to a new high with minimal efforts. 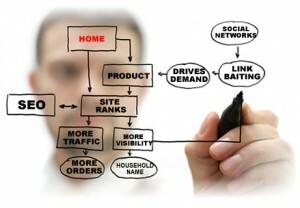 Another key factor that needs to be kept in mind is that marketing on the social network platform takes its sweet time. Automating the Pinterest pinning is of much worth in such a scenario. 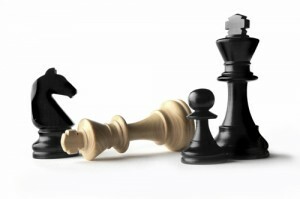 You can ideally use Pingraphy.com as this not only allows the users to schedule their pins but also provides the users with metrics on their pinning activities. You can then check it for yourself on what is working well for you and what all needs to be put in correct perspective. Going beyond pictures is highly recommended in Pinterest. You should remember the fact that photos are not the only thing that can be shared on Pinterest. You can add slideshare presentations and videos to this platform with extreme ease. 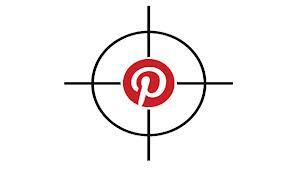 Those who are following you can watch the developments directly on Pinterest and help you spread the reach of your business taking the same to a new high. You should essentially conduct an SEO optimization of the Pinterest account. This can be done with extreme ease as you can use keywords in the descriptions. Links too can be included in the description area; an advantage of these links is that these are clickable automatically. Remember the fact that these pin descriptions can be up to 500 characters and help the search engines crawl the content which you have listed as a part of your marketing strategy. You must add hash tags wherever these are applicable. You should essentially add the “Pin It” button to the browser toolbar as this helps in adding new pins to the business board. 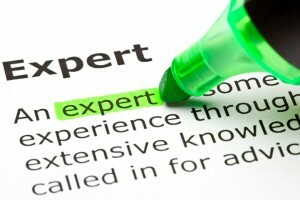 You need to be an expert in the field or showcase as if you have adequate experience in the product segment you have been working for. You can set up a Tool and resource board with pins. This should link back to a blog series on your main website. You should essentially be including pins which feature recommendations, reviews and special offers for your trusted Pinterest followers. You should be aware of happenings in the market and should know all your followers have been up to. Keep your Pinterest account updated as this helps in the long run and takes your business promotion strategy miles ahead. Follow the above listed tips and use the Pinterest platform innovatively. It will help you in the long run. Author Bio: I am Rebecca Jones designer, speaker, educator, blogger and writer. I love to write on technology, social media, marketing etc. These days I am busy contributing to getamplify.com.